Neer dosa ( Neer means water in Kannada and Tulu, from Karnataka ). a simple delightful but tasty dosa from the Tulu regions of Manglore . A dish close to my heart as I have grown up eating such delicious delicacies very frequently, having spent many years in Karnataka. Neer dosa is a soft fluffy lacy crepe using only rice batter mixed to a very thin watery consistency. The beauty of the dish is its simplicity in the use of ingredients which is only rice and can be made in a jiffy for healthy breakfasts. Basically rice is soaked for 2-3 hours, ground to a very thin watery batter along with 2-3 tbsp fresh grated coconut.. This batter need not be fermented . A pinch of salt to taste and you are good to go to make thin lacy crepes on a very heated pan. Do check these links for Neer dosa with rice and Barnyard millet neer dosa. (sanwa / Kudiraivali ) in this blog. 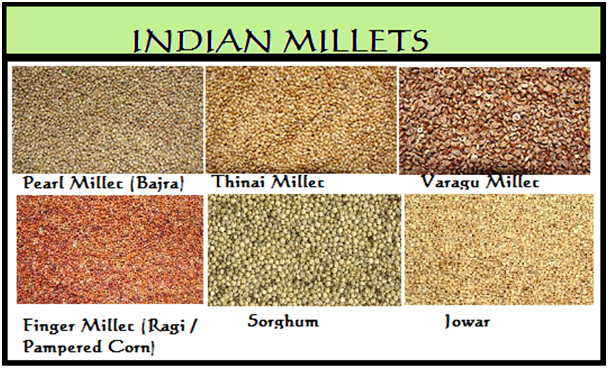 Rice neer dosa will be pure white but millets especially foxtail millets will give a slight tea coloured dosa but texture wise no differences. If you love adding coconut to this dosa batter, but dont have fresh coconut, not to worry, add dry desiccated powder to the batter but has to be ground well.You can also add around 2 tbsp dry coconut milk powder available everywhere nowa days, saves a lot of time, grating , and really makes a very delcious neer dosa!! Add little water and 2-3 tbsp grated fresh coconut to grind to a fine smooth batter. Remove and make the batter more watery , should be runny like buttermilk.Add salt. mix well. Heat a dosa griddle, grease the surface, wipe well.Sprinkle some drops of water to get a steam and check the heat of the griddle. Use a half cut onion to wipe well for a very non stick surface. Take a deep ladle to hold the batter, pour right in the middle with a splash., the batter will spread rapidly on all sides forming holes naturally. After splashing the batter fill remaining portions to make a round shape or leave as it is. When it is getting cooked, drizzle drops of oil all over on the edges to get crispy ends. Flip on other side for few seconds, remove.The dosa will remain white even when cooked well, so use your judgement to flip quickly, dont allow it to remain for long on the pan waiting for a golden colour, as you will not get the colour, instead it will become hard in the center. This dosa remains soft , fluffy moist for a long time , so good for packing to school lunch box also with a tasty side dish of your choice. Make sure to mix batter well every time you make a fresh one as it keeps settling down at the bottom and the top part will be watery. Try to splash the batter and not spread it like normal dosas.